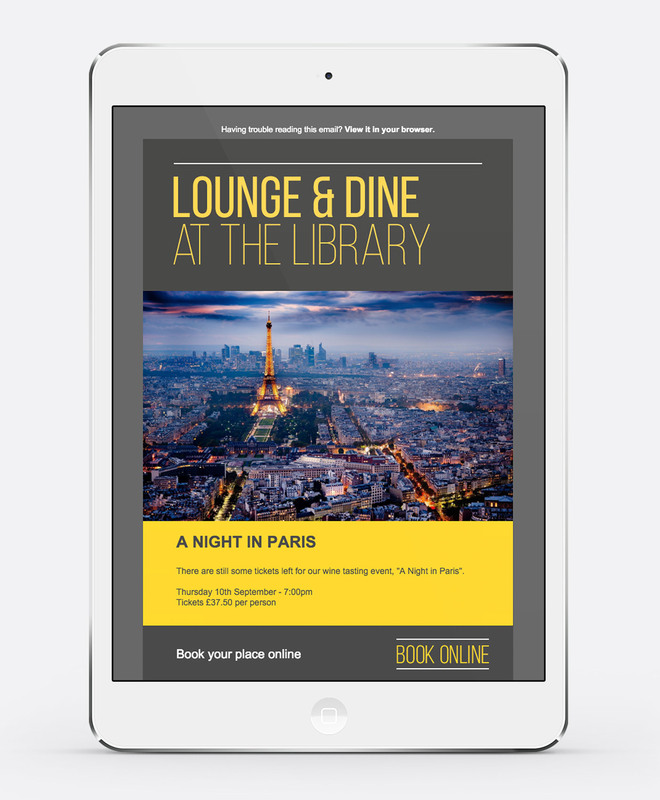 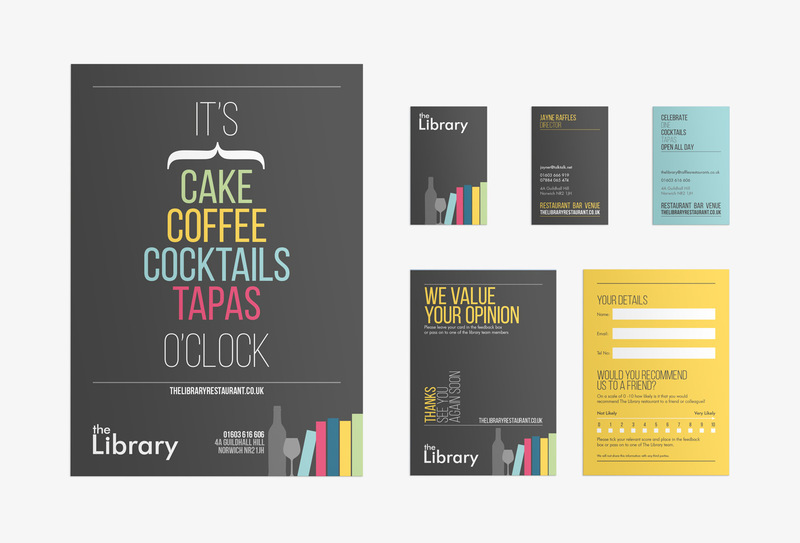 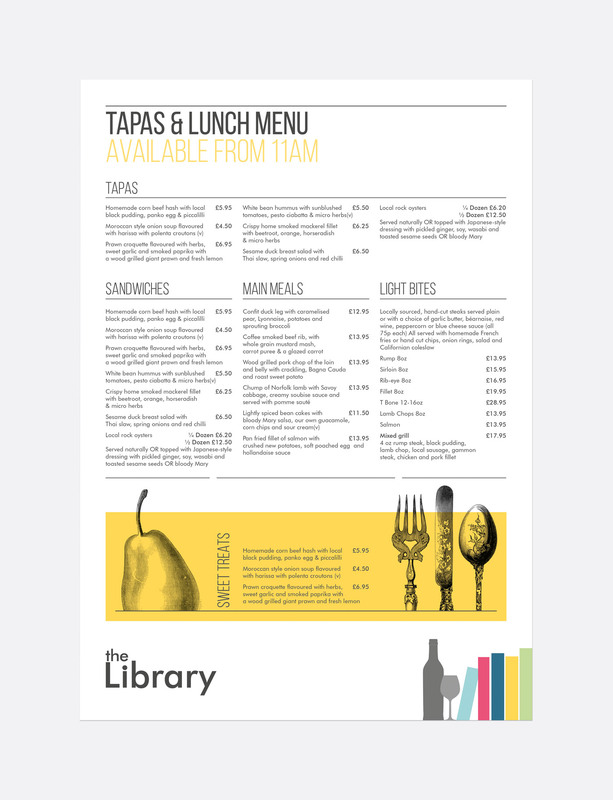 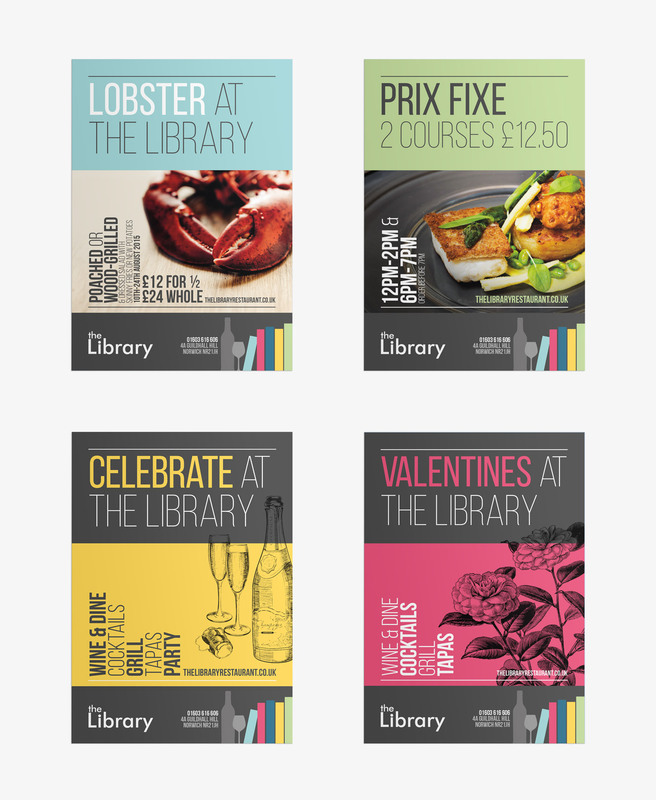 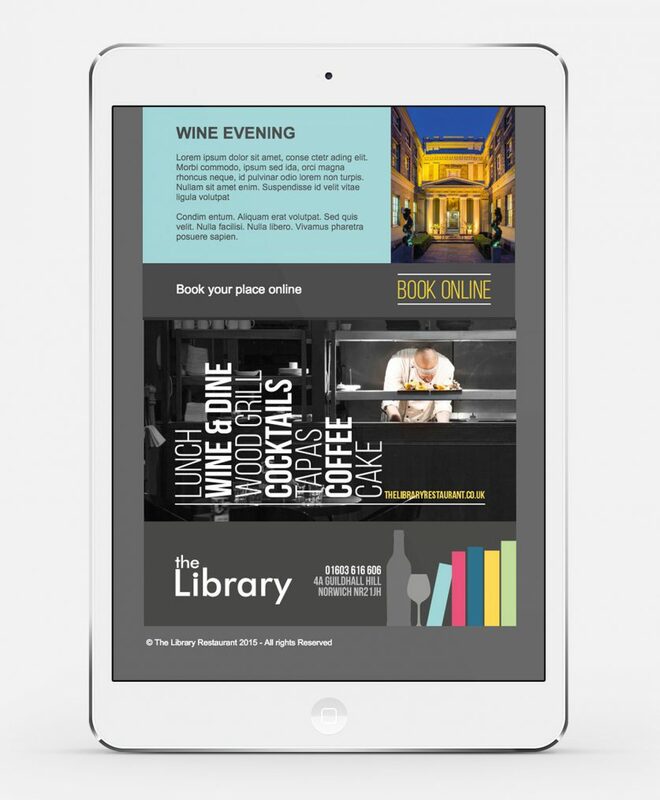 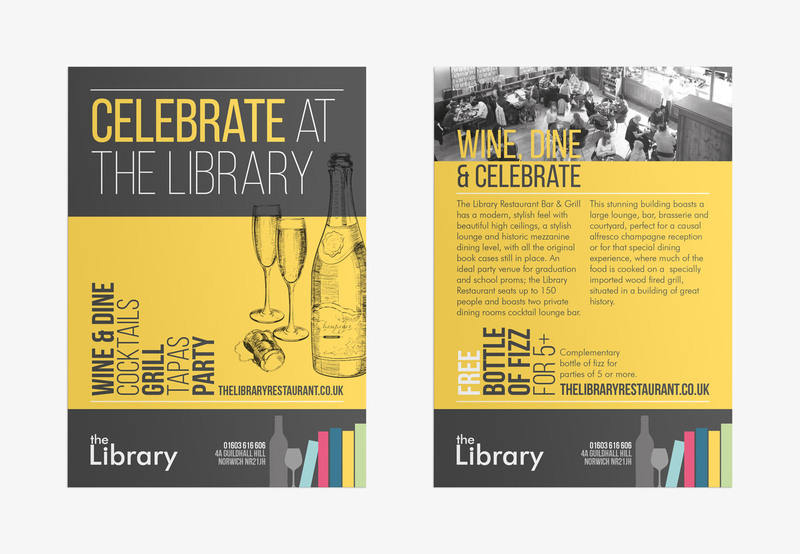 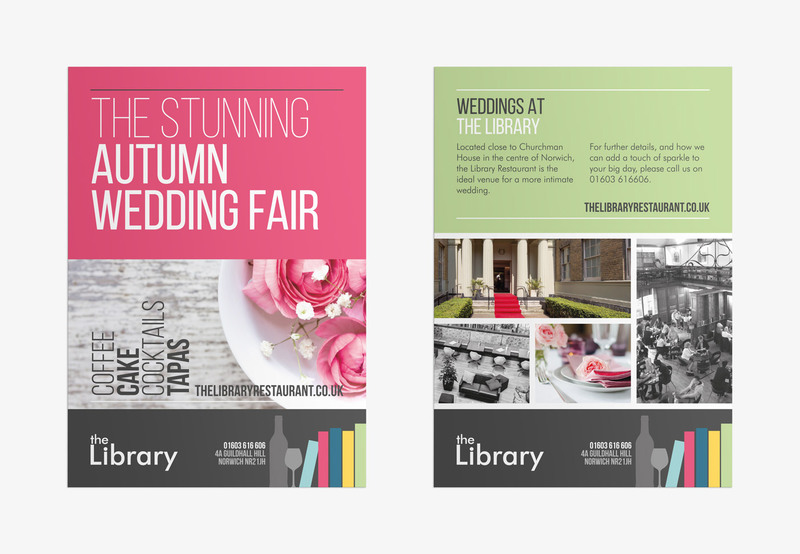 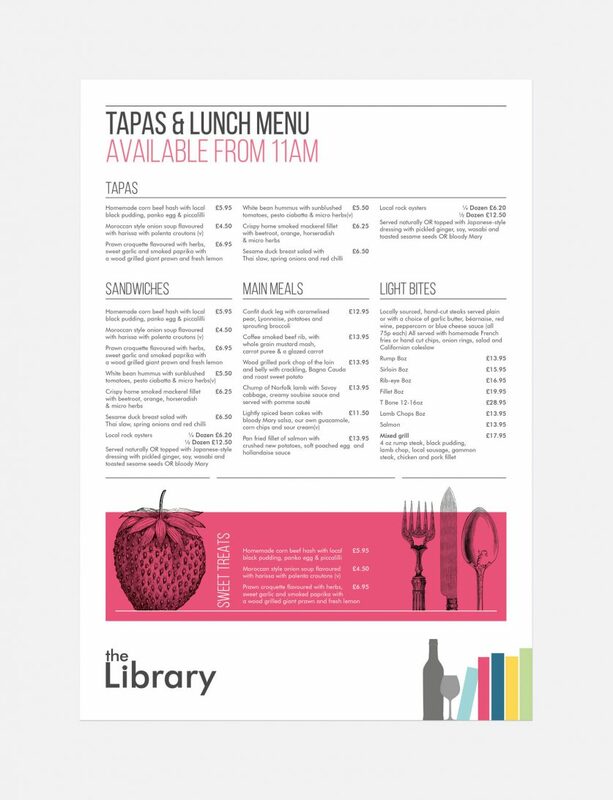 The Library is a restaurant based in Norwich’s former library, the UK’s first public subscription library. The building is rich with historic features from the original Library and has recently been refurbished. 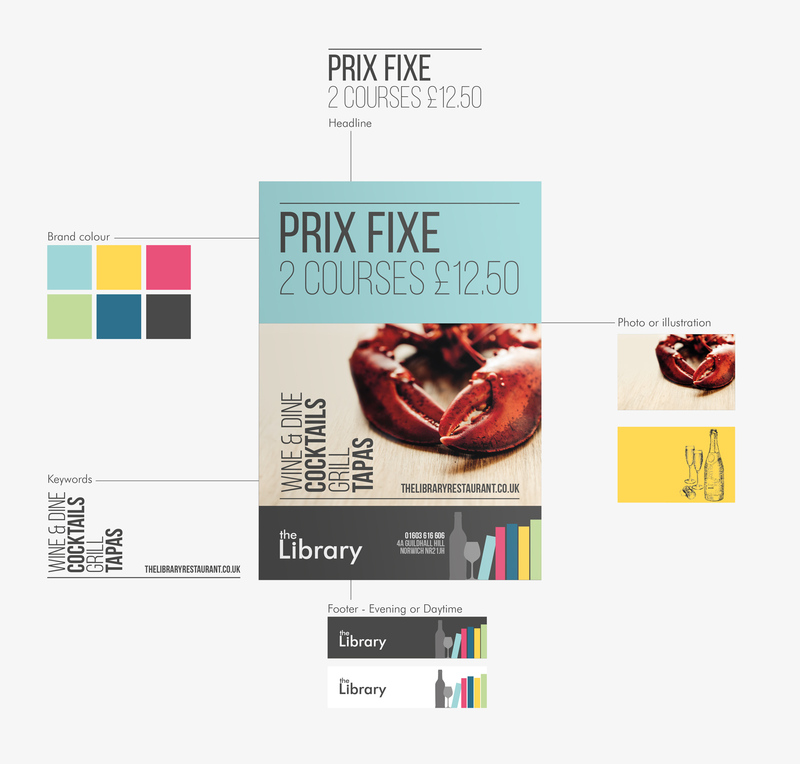 A new visual identity was designed for the restaurant that allows a wide variety of designs to be formed using a combination of colour, type and photography and illustration – creating a distinctive and coherent identity that reflects the rich style and colours of the restaurant interior.